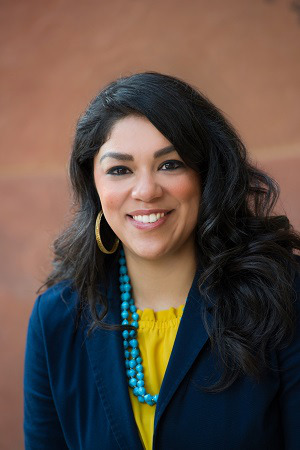 Dr. Vanessa Sansone has used her personal background of being a first-generation college student and growing up in a low-income community as influence for her teachings and research on underrepresented groups. Sansone, who is an assistant professor of Higher Education Administration in the Department of Educational Leadership and Policy Studies at the University of Texas at San Antonio (UTSA), was raised on the east side of San Antonio which she described as being similar to “any urban inner-city marginalized community”. Going into high school, Sansone was offered a sports scholarship by a local college preparatory school. During her time there, she found many reasons to attend college. Attending college was something that Sansone had to navigate on her own because she was a first-generation college student, not only amongst her parents, but also within her extended family. Sansone’s experience at the college prep school prepared her academically for her undergraduate years at St. Mary’s University at San Antonio, Texas. However, other aspects of college made adjustment adjusting difficult for Sansone because she worked three jobs while being a full-time student in order to help support her family. For both her masters and doctorate degrees, Sansone attended UTSA. She applied for and was awarded with a doctoral fellowship program and continued to conduct research. Throughout her career, Sansone has focused on research topics such as college affordability, Latino students, student veterans, and Hispanic-serving institutions. Last year, she was hired as an assistant professor and has found benefits working for not only her alma mater but also working within the community that she grew up in. At UTSA, Sansone teaches statistics, assessment with student affairs and a master’s level course on school-community relationships. Over two years ago, in correlation with her research, Sansone created Colegio en Nuestra Comunidad, a college fair that was held in a low-income San Antonio community. To Sansone’s surprise, 800 students attended. Sansone acknowledges the impact that her mentors and husband have had on her career thus far. AdditionallyIn Addition, she says that her ultimate career goal is to be able to influence policy at both the local and federal level.